When a researcher, author, editor, or reviewer has a financial/non-financial interest or belief that could affect his/her objectivity, or inappropriately influence his/her actions, a potential conflict of interest exists. Such relationships are also known as dual commitments, competing interests, or competing loyalties. 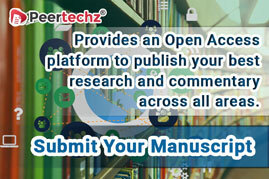 Peertechz requires authors to state all conflicting interests in relation to their work. The manuscript submitted must include a ‘conflict of interest’ section at the end of the manuscript listing all the financial and non-financial issues. Where authors have no conflicting interests, they should mention clearly with a statement such as, “I, , on behalf of all the co-authors declare that author(s) have no conflict of interest with this manuscript”. The Editor-In-Chief may ask for further information regarding conflicting interests. During the Peer-Review process, if any editor or reviewer identify conflicting interests with the review, he/she inform to the Journal Management Team immediately and their name will be excluded from the review team for that article. Please note: Authors should ensure that publications are produced in a responsible and ethical manner. The authors working on any sponsored clinical trials or publications, should declare such works under conflict of Interest during submission.